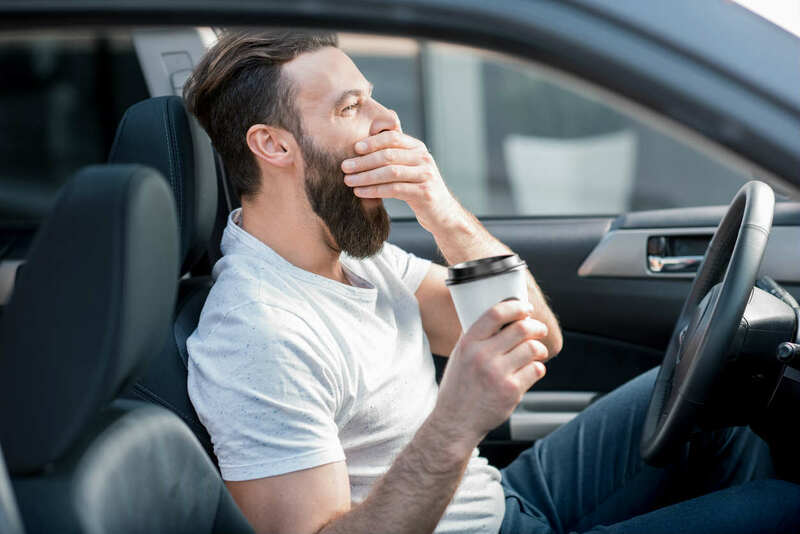 Many experts say that driving without sufficient sleep can be just as dangerous as driving under the influence of alcohol. Research shows that 1/3 of drivers do not get enough sleep. This puts you at an increased risk of being involved in a car crash. In fact, if you haven’t had a good night’s sleep you are actually twelve times more likely to be involved in an accident. Many experts say that driving without sufficient sleep is just as dangerous as driving after having consumed alcohol. To drive safely, it is recommended that you have at least 7 hours of sleep. People who get 5 or 6 hours sleep are twice as likely to be in a crash as those who had 7 hours of sleep. When they get 4 hours sleep, the risk is four times higher. Some signs that you are driving while too tired are feeling your eyes drooping, you keep missing your exits, are drifting between lanes, hitting the curb and not having any recall about your journey so far. However, many people simply fall asleep at the wheel without any warning signs at all. Sometimes we don’t get a good night’s sleep but we can’t avoid driving the next day. So what can you do to make your journey as safe as possible? Take regular breaks. Stop every couple of hours and have a coffee. If you are feeling tired at all, you should stop and take a break. Take a nap. One of the best things you can do is take turns driving with someone else. Remember, above all else, it’s better to be late than to end up having an accident. If you drive to work every morning and often suffer from a bad night’s sleep, it’s so important to improve your sleep length and your sleep quality. Get to bed at the same time each night. Your mind and body will learn to go to sleep better if you have a regular routine. Don’t eat too close to bedtime. When your body is digesting food it can cause you to feel more awake. Make sure your bedroom is conducive to a good night’s sleep. Make sure it is dark, if you have a street light outside your window then a black out blind is a good solution. Don’t use your mobile devices in bed. The light given off by these gadgets is what is known as blue light. This blue light tricks your brain into thinking it is morning. Your brain then releases hormones that help you get alert and ready for the day. Of course this is not going to help you get better sleep. Learn some relaxation techniques to help you let go of the worries of the day and fully relax ready for a great night’s sleep. Injured by a fatigued driver? Speak with a St. Louis car accident lawyer at The Hoffmann Law Firm, L.L.C. for a free and private consultation. Call us 24/7 at (314) 361-4242.